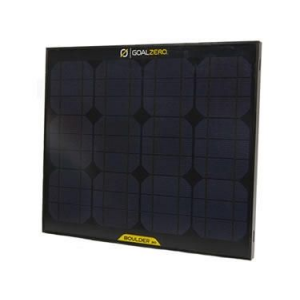 The versatile Goal Zero Boulder 15 solar panel gathers 15 watts of power from the sun and provides power for use in an RV, cabin and campsite. Free Shipping. 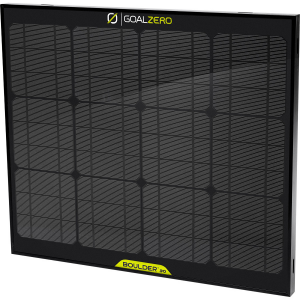 Goal Zero Boulder 15 Solar Panel FEATURES of the Goal Zero Boulder 15 Solar Panel Goal Zero Escape 150 Power Pack: 10-20 hours Goal Zero Sherpa 50 Power Pack: 4-8 hours Inputs Rated Wattage: 15W Cell Type: Monocrystalline Open-circuit voltage: 18-20V Converting Efficiency: 17-18% Outputs Solar Port: 12V Charging Power (4.7mm)14-16V, 1.0A max (15W) Goal Zero Boulder 15 Solar Panel Weight: 3.5 lbs / 1.8 kg Dimension: 11 x 18 x 1in. / 28.5 x 2.5 x 45.7 cm Optimal Operating Temperature: 0-120 F (-17-48 C) This product can only be shipped within the United States. Please don't hate us. 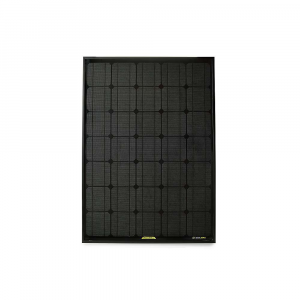 The Boulder 15 solar panel can be installed because of its strong tempered glass and the aluminum frame or you can take the lightweight panel with you. 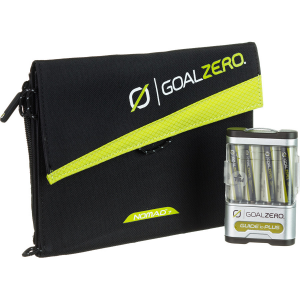 Goal Zero recharger not included.This product will be shipped directly from Goal Zero and will leave their warehouse in 2-3 business days. Eligible for UPS ground shipping only. 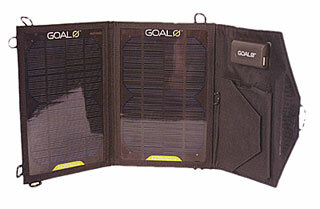 The Goal Zero Boulder 15 is a solar panel with versatility. Because of its strong tempered glass and the aluminum frame, it can be installed, but its light enough to take with you. 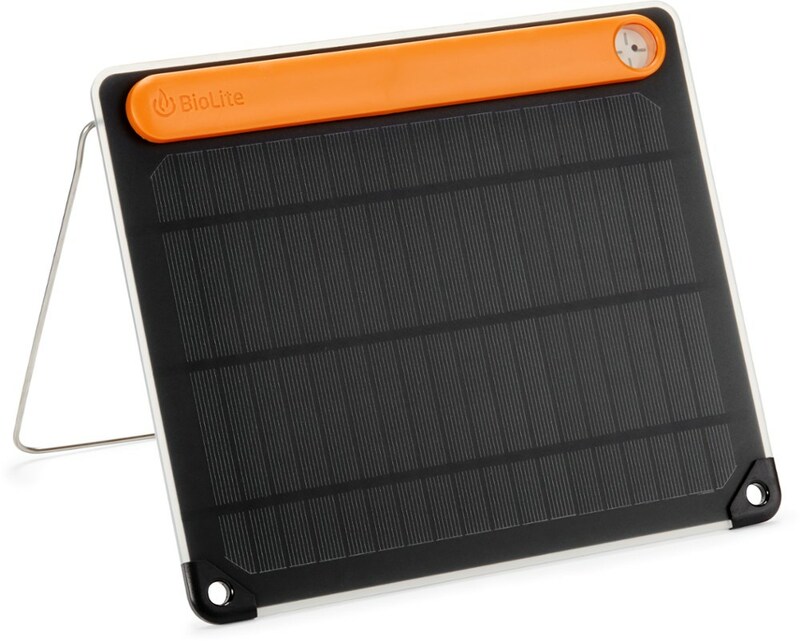 Great for RV, cabin, camping, and trickle charging, or anything you can think of. 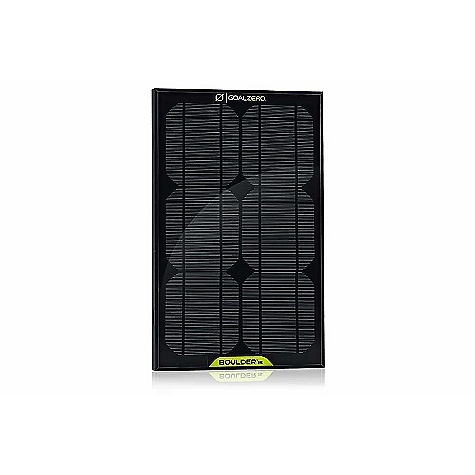 The Goal Zero Boulder 15 is not available from the stores we monitor. It was last seen November 2, 2015	at REI.